Don't even get us started on robots. We've seen way too many science fiction movies to be fooled. Those cute robots you see in internet videos? They'll be our overlords some time in the future. It could be 10 years from now, or it could be 100 years from now, but mark our words. Robots will rise up against their human creators to build a world controlled completely by computerized A.I., so we think that it's about time that everyone prepared for the inevitable rise of the machines. How, you might ask? Good question. Introducing the Robot 1.0 Mask. This handy item fully disguises your facial appearance to resemble that of a rudimentary robot, which is exactly the kind of robot you want to disguise yourself as once the robot apocalypse happens. (The more advanced robots have a harder time identifying older models of androids.) With molded details that makes the mask look like it came straight from a Steampunk laboratory, this mask should have no problem fooling all but the most sophisticated of A.I. machines. 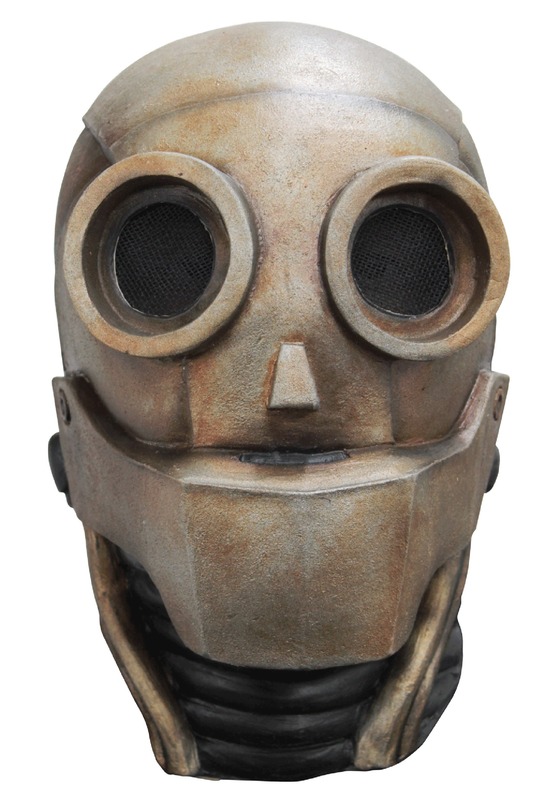 Of course, until the robot apocalypse actually happens, this mask makes for a pretty good costume to wear to parties and other recreational events, so you'll be able to get value out of it right away. Special note: this mask does not work as a suitable disguise if the zombie apocalypse happens BEFORE the robot apocalypse happens. Please make separate plans accordingly for zombie apocalypse situations.